Reptile Forums UK - Peter Rice shares the amazing results from pairing a lemon-glow reticulated python with another lemon-glow. Morelia Viridis Forum - Moreliaddiction shares some recent photos of the outstanding offspring that resulted from their blue line pairing in 2014. Prehistoric Pets: Orange Glow, Mochino, Leucistic? 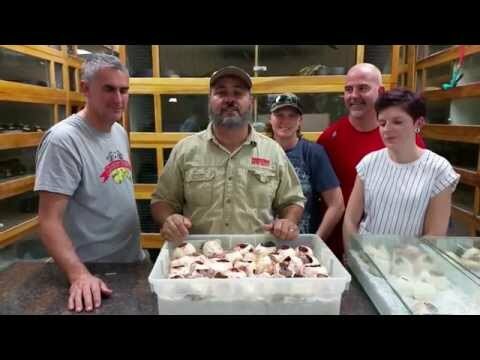 YouTube - Jay cuts an interesting clutch of reticulated python eggs that possibly has two fathers and is also partially parthenogenetic. Facebook - Check out this amazing photo from Prehistoric Pets! This two headed reticulated python is not yet out of the egg, but seems to be doing well so far. Facebook - Prehistoric Pets shows off some amazing reticulated python morphs right out of their eggs.